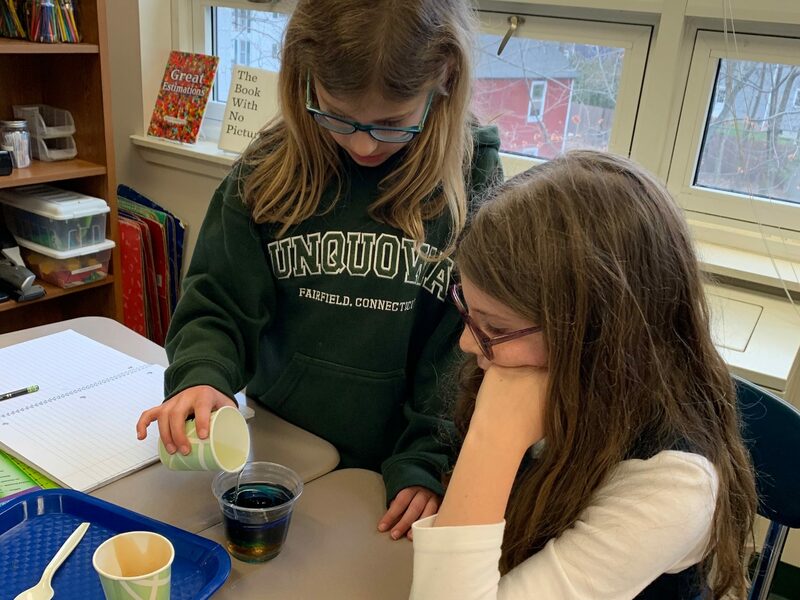 Fourth graders have learned that density is a property of matter that compares an object’s mass to its volume. 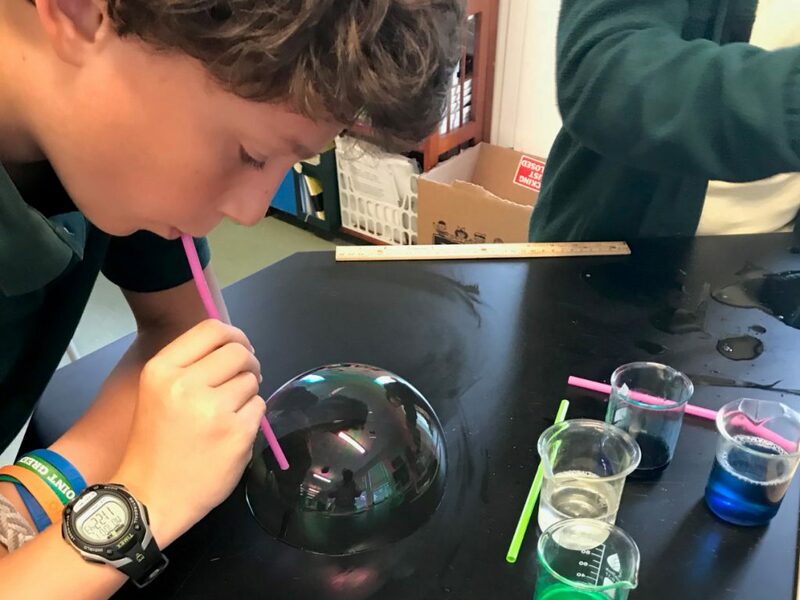 Different objects may have different mass but the same volume, as we saw in class when we compared a baseball and a Wiffle ball. 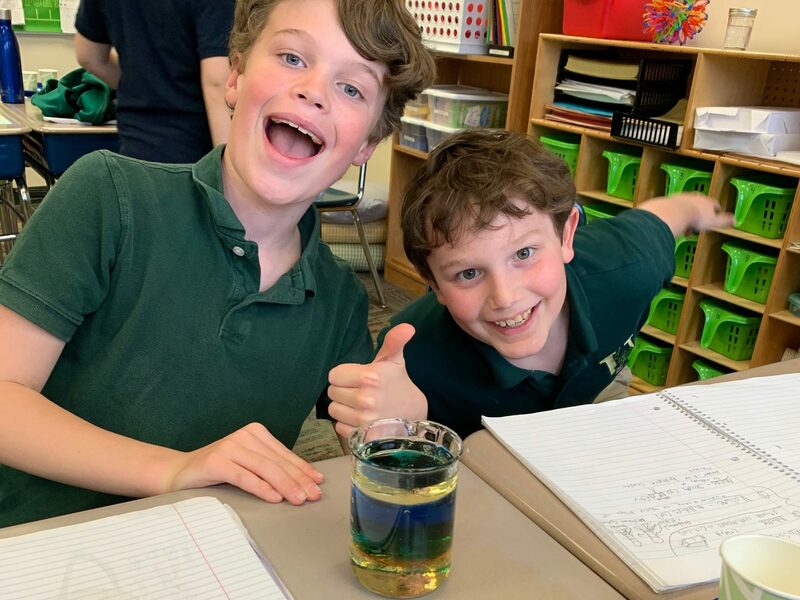 Students were asked if liquids could also have different mass and the same volume. 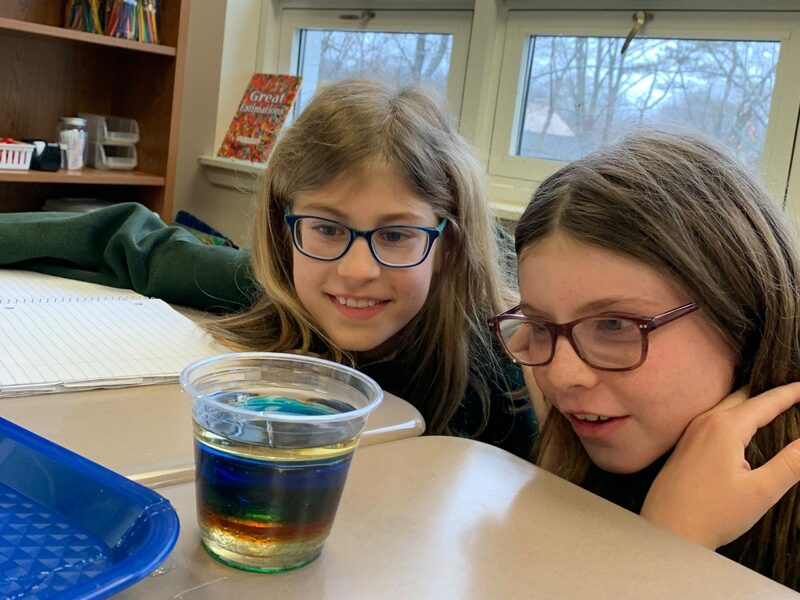 To find the answer, students poured various liquids (maple syrup, corn syrup, oil, colored water) into a container and were amazed to see layers form. 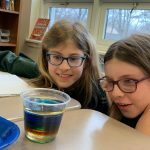 Students quickly concluded that these liquids must have different densities in order to form layers. 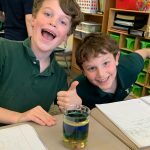 The most dense liquids sank to the bottom and the least dense remained at the top. 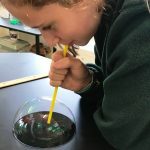 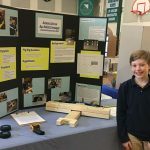 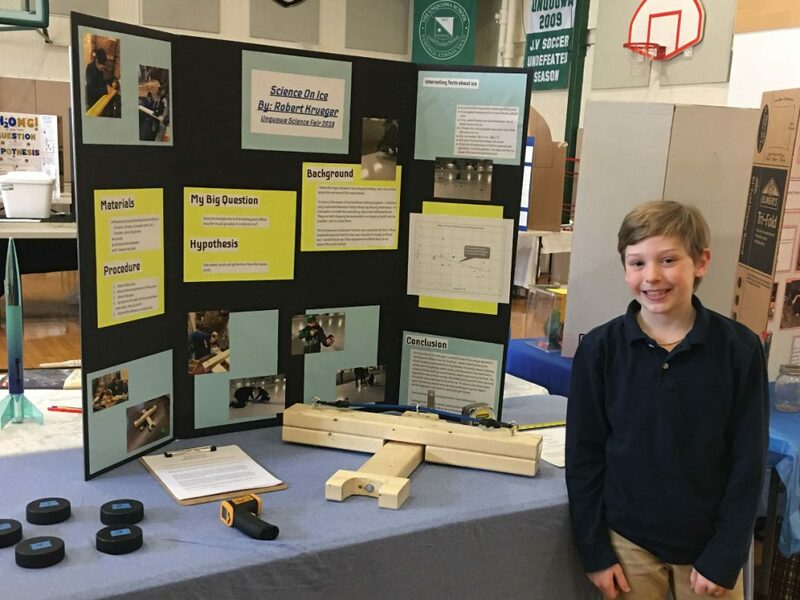 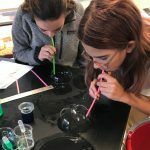 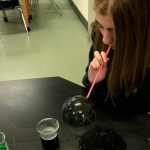 Did you attend the 2019 Unquowa School Science Fair? 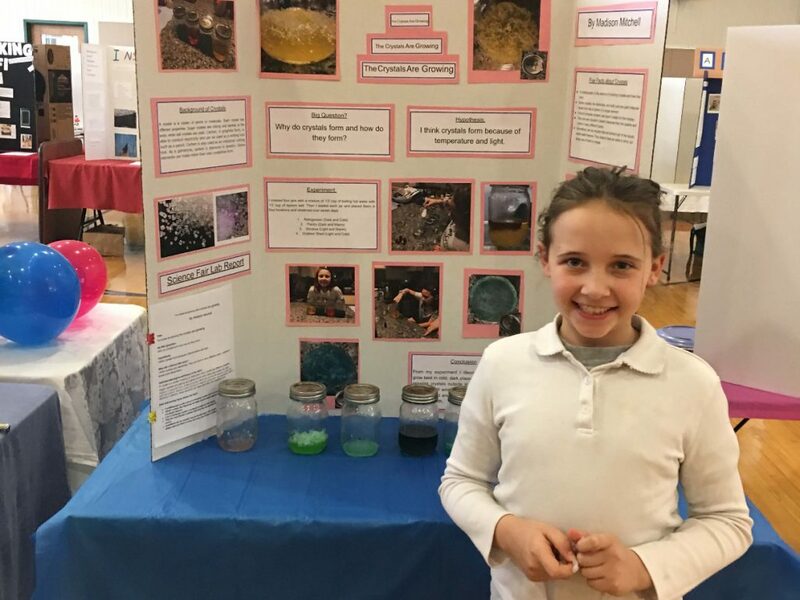 If you did, you were certainly awed by listening to our scientists discuss their findings on such topics as the effects of caffeine on the brain, how cola will clean a penny, distracted driving, screen time, how rivers form and flow and much, much more. 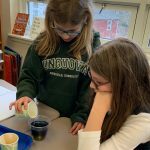 Our student scientists have questioned, researched, planned and experimented for weeks on a topic of choice leading to a supported conclusion. 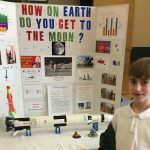 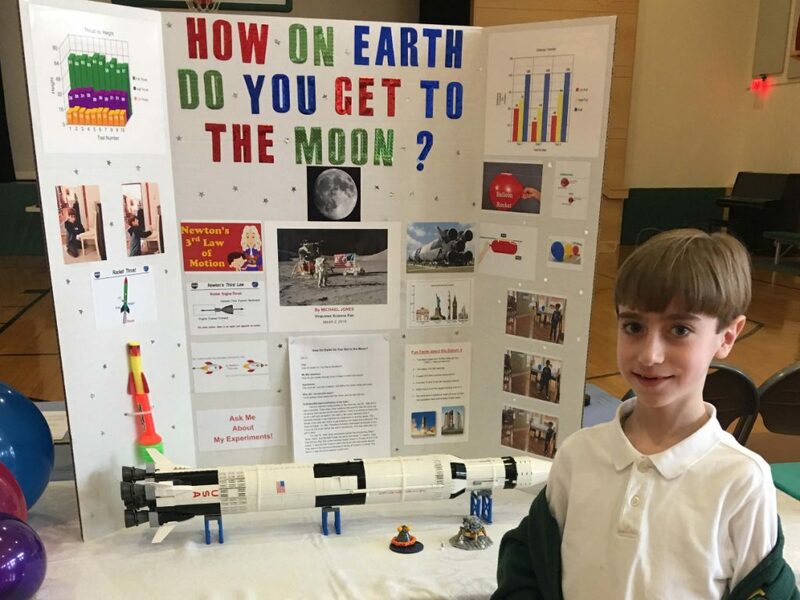 On the day of the annual science fair, fourth, fifth and sixth grade scientists enthusiastically shared their findings through models, demonstrations and carefully crafted poster boards. 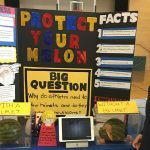 The entire Unquowa community was delighted and educated by our wonderful student scientists – congratulations to all on a job very well done! 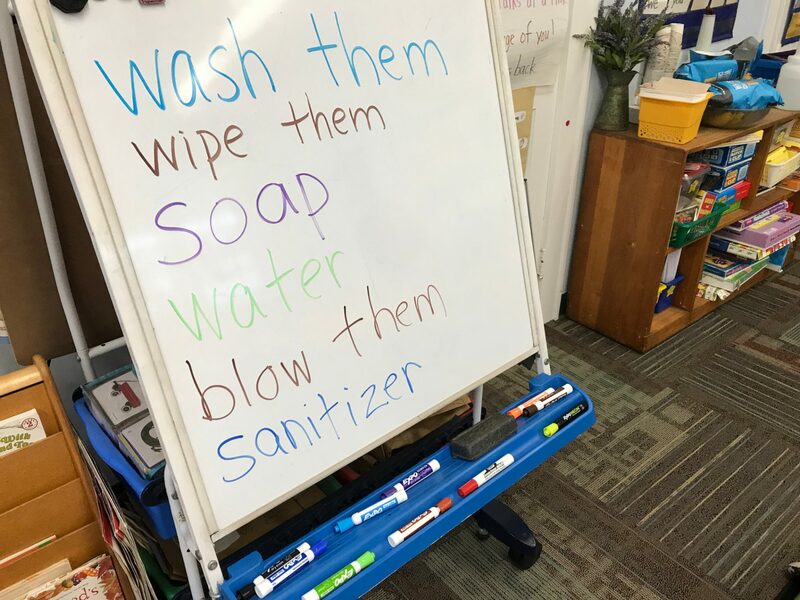 For germs that is! 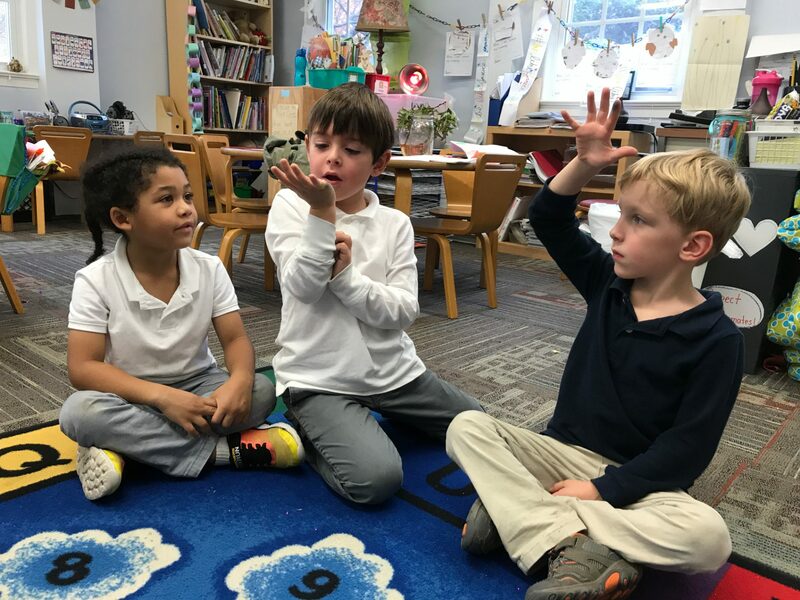 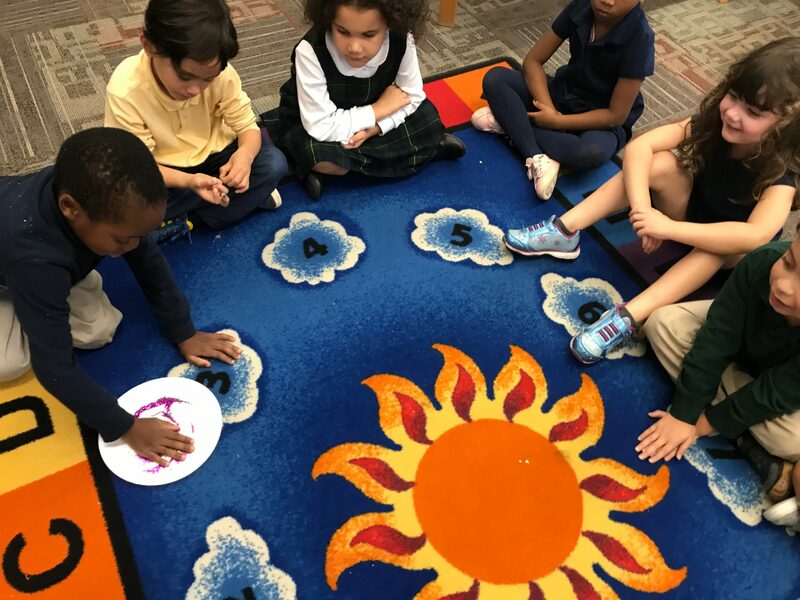 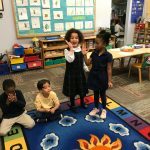 Kindergarteners finished their unit on living and nonliving things by studying the smallest forms of life, microorganisms. 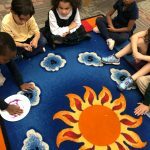 This group includes bacteria, germs and viruses. 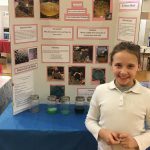 We learned more than we ever wanted to know about healthy bacteria that live all around and on us! 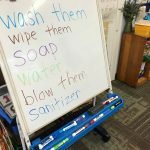 Next, we explored how to keep ourselves healthy and germ free. 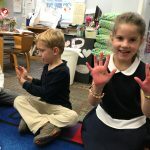 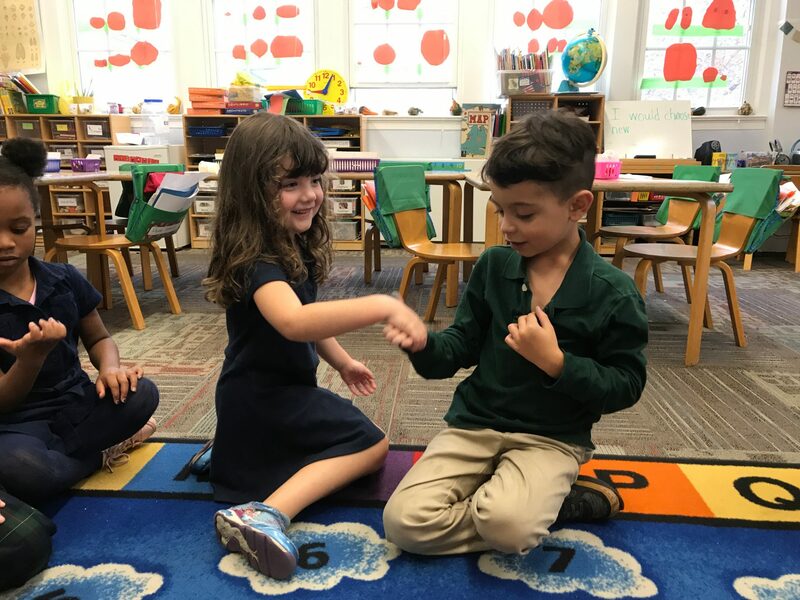 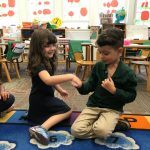 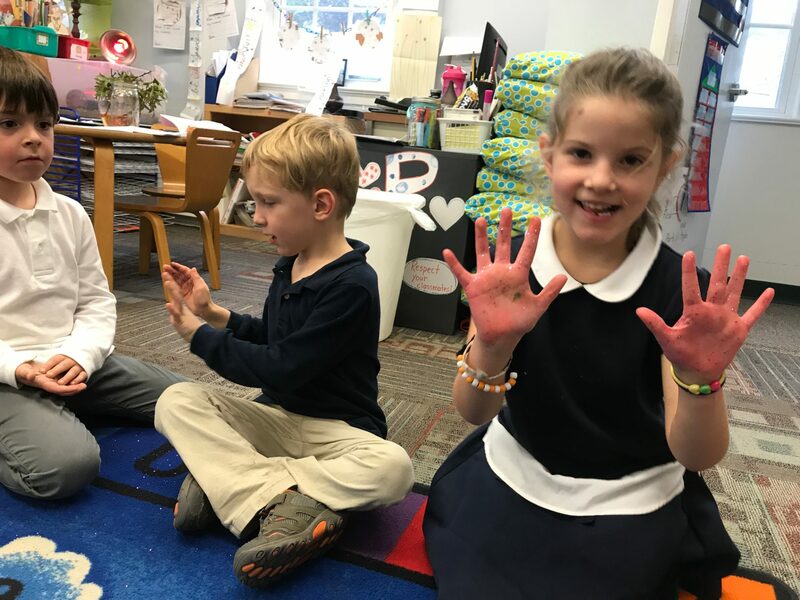 We conducted an experiment to see the most effective way to remove germs from our hands, In this scenario, purple glitter played the part of germs, much less gross and much easier to see. 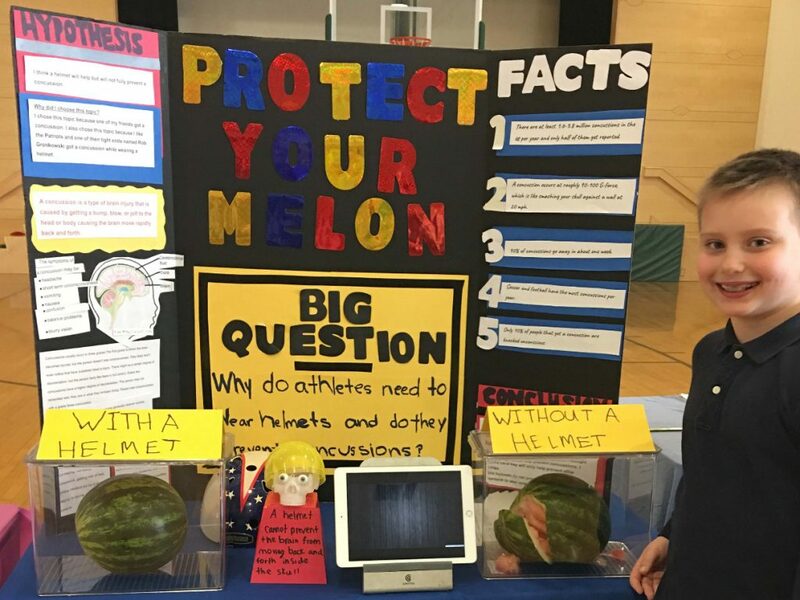 Students predicted what method would work best, some answers were very creative! 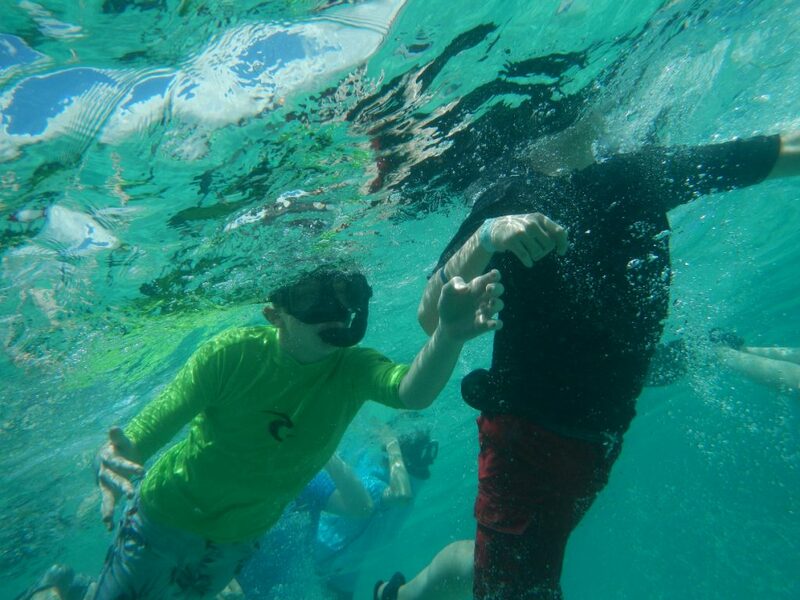 Then we put each method to the test, seeing if it really did remove germs and prevent germ transfer. 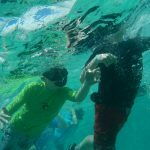 We proved once and for all that warm water and soap is the best way to keep your hands clean! 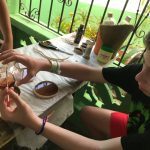 We don’t have all the winners of cups, eyeshadow, bath products, batteries and food listed. 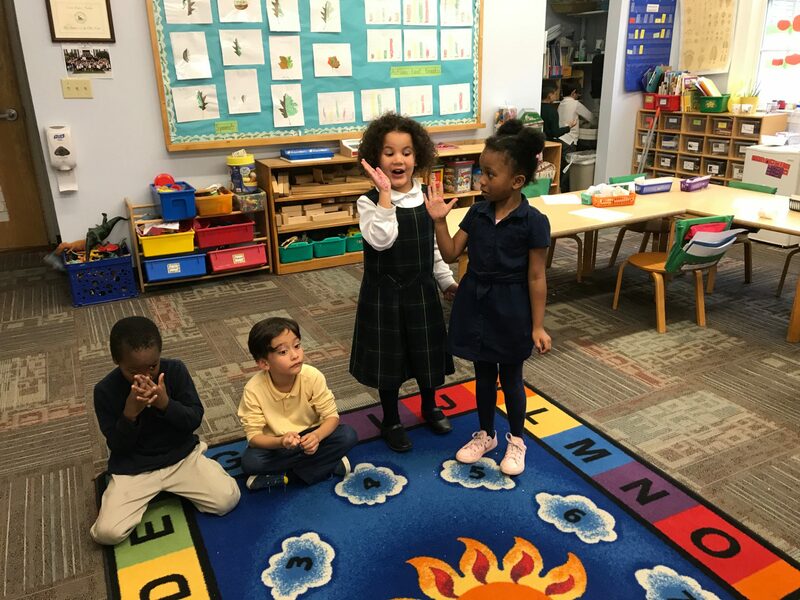 But students have learned mostly that a bargain is usually not what it appears. 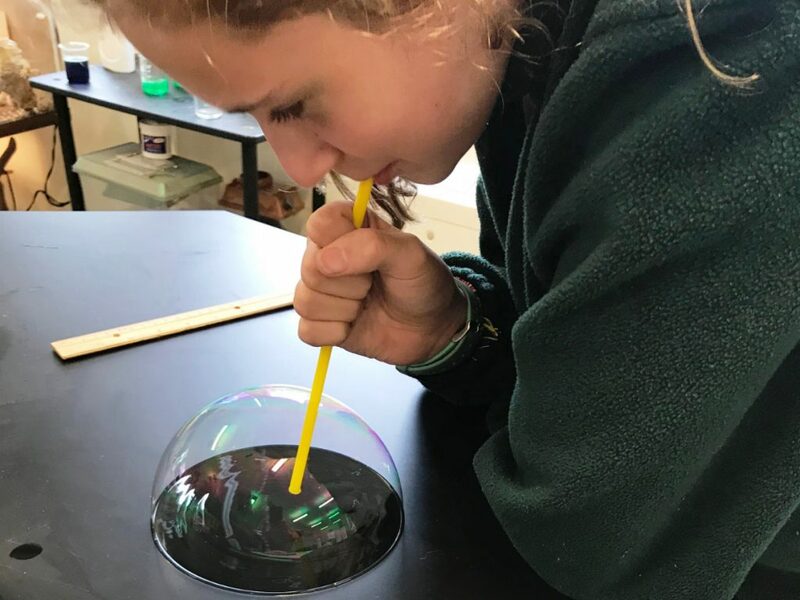 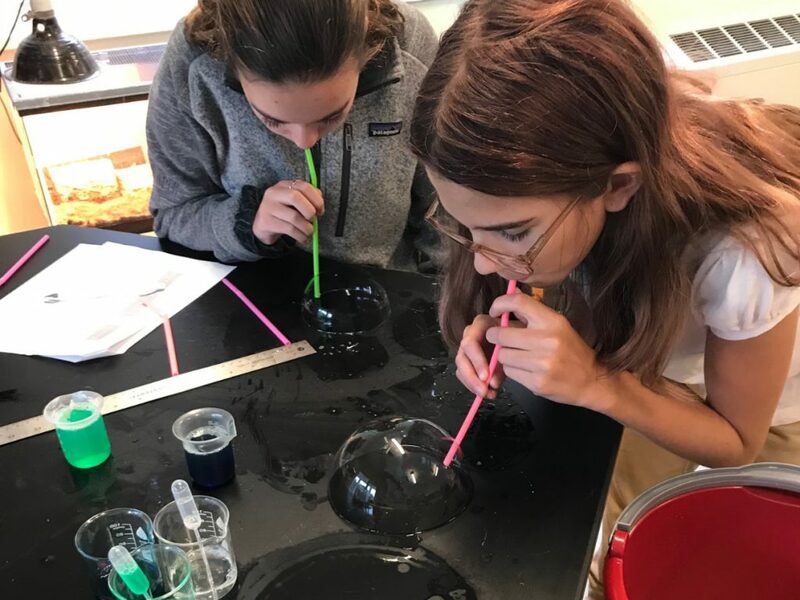 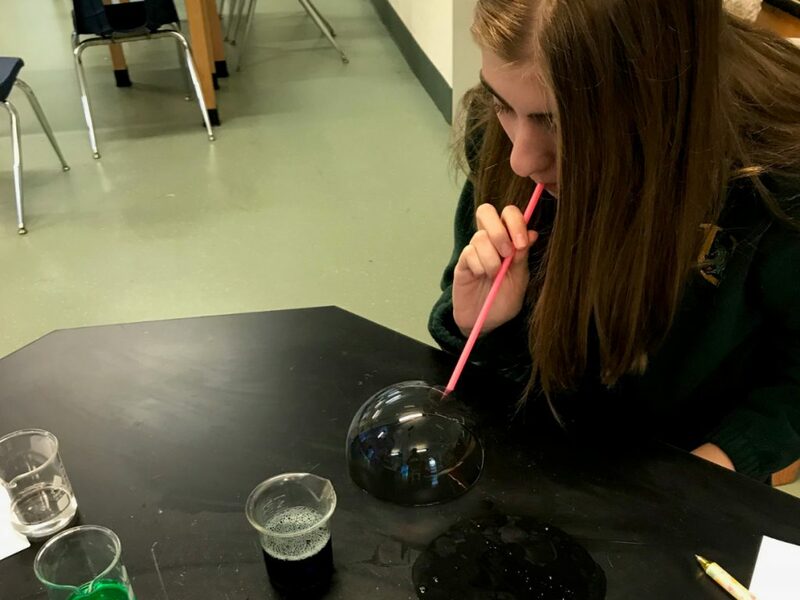 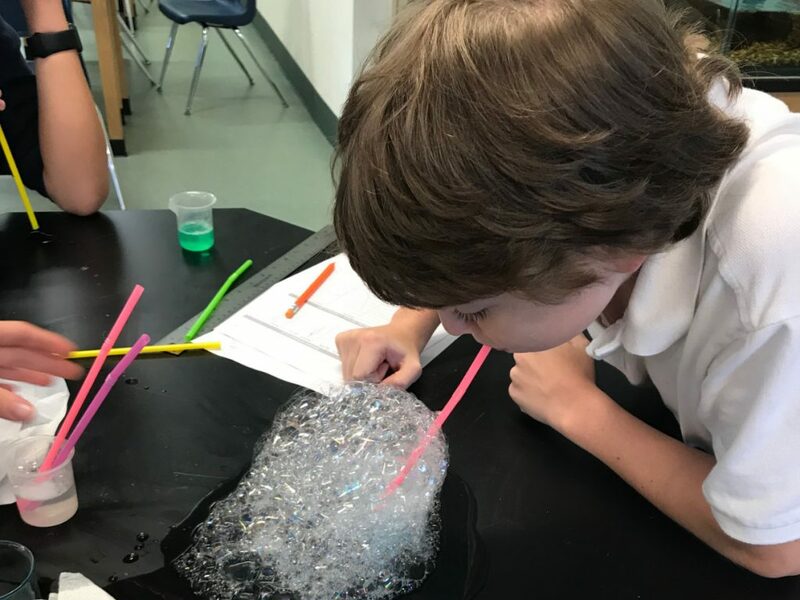 The day before projects were due, students tested dish soap brands Ivory, Palmolive and Kirkland’s to see which brand produced the biggest bubbles. 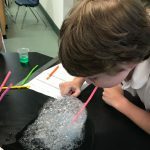 Bubbles aid washing by lifting dirt. 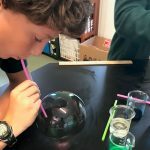 The method of the test is shown with our 8th graders. 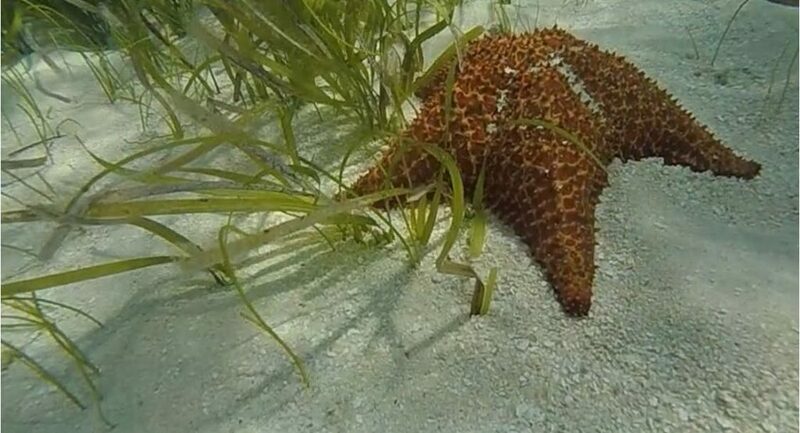 Caribbean Vacation? 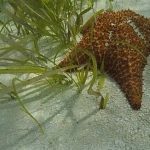 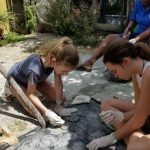 How about Caribbean Conservation! 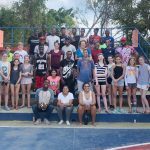 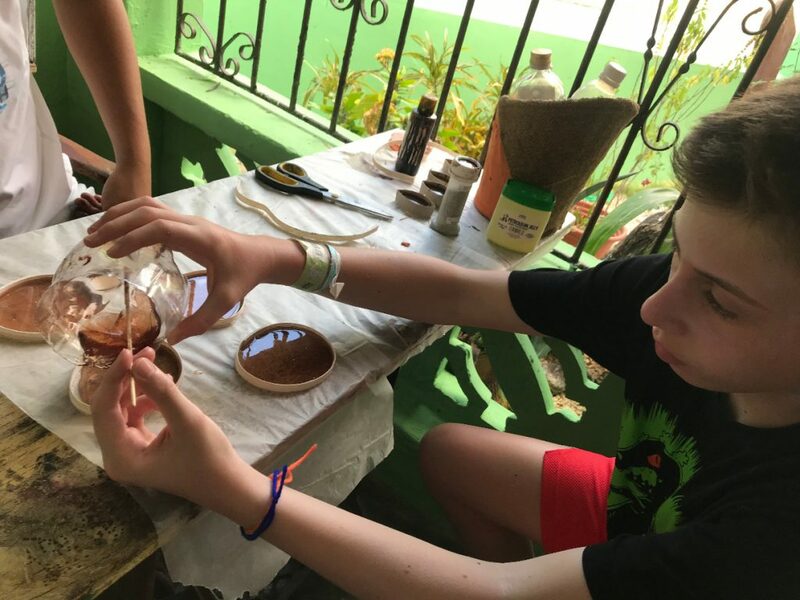 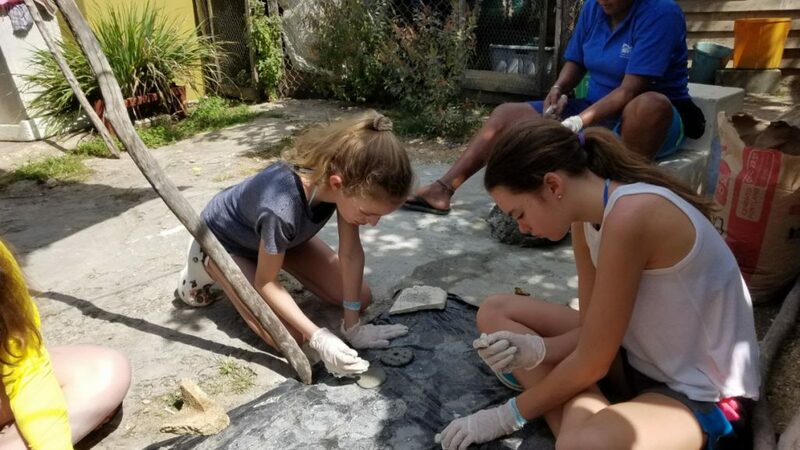 Twenty-four 7th and 8th grade students traveled over spring break with Mr. Mitchell, Mr. Knebel and our Spanish teachers, Ms. DeAngelis and Ms. Fernandez, to work and vacation with the Dominican Foundation for Marine Studies or Fundemar in Bayahibe, Dominican Republic. 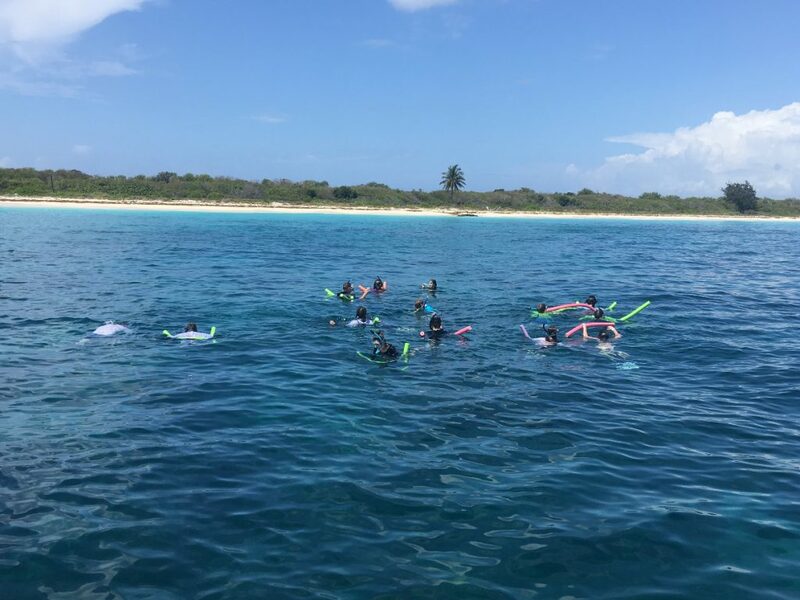 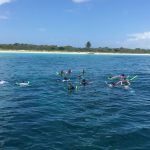 As Ecotourists, our students learned about and worked towards coral reef restoration and marine mammal conservation. 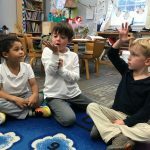 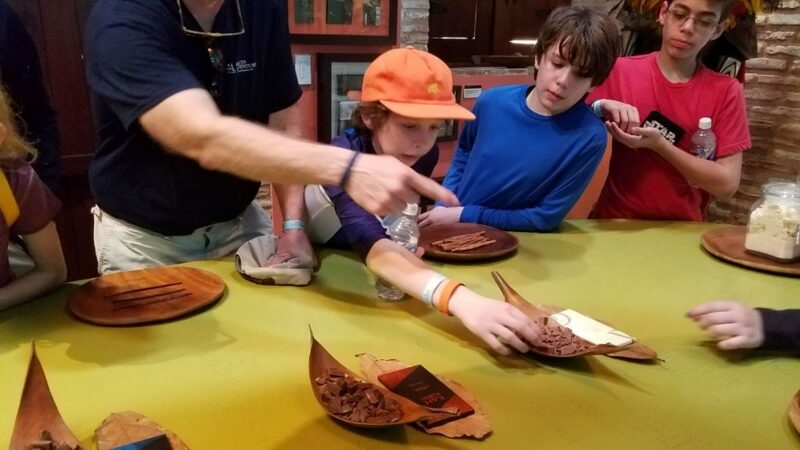 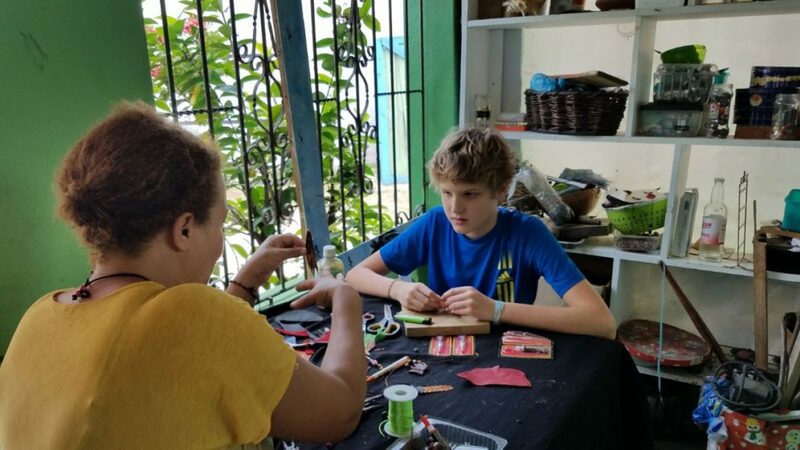 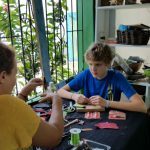 As global citizens, our students met community members affected by the loss of the reef and learned how to make crafts and projects to help rid the reef of invasive species. 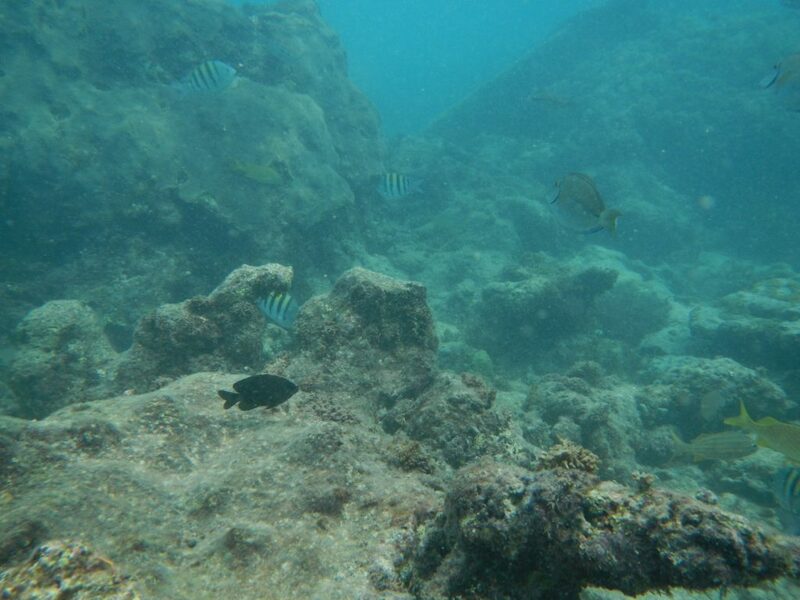 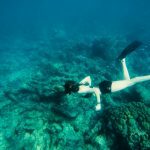 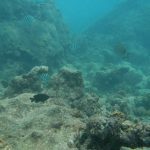 They snorkeled in bleached out and not bleached out reefs to compare the levels of biodiversity – the difference was striking. 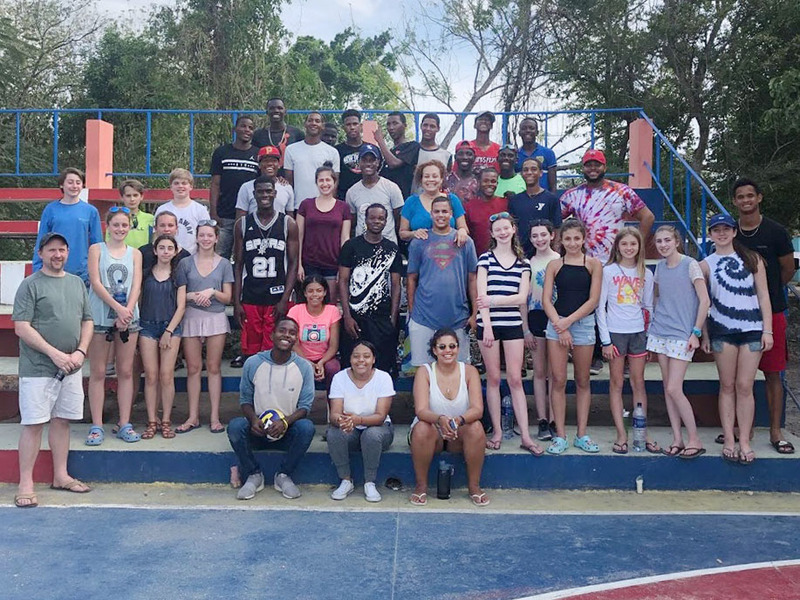 Other highlights included a cultural exchange with Dominican youth, visiting the six hundred year old first capital of the the Americas and exploring underground limestone aquifers. 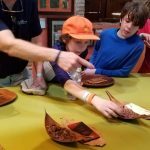 Oh yes, practicing speaking Spanish, beach time, bargaining in souvenir shops and a whitewater raft trip were also on the itinerary.